As the title suggests, I thought I’d try my hand at a series dedicated to a varying number of game tools or game mechanics. The first of these is probably a favorite of mine, it might even be an obsession nowadays, and that is the usage of randomness or unpredictability in games and the illusion of control to keep players engaged. The idea came to me from having looked at and having played various modern board games, strategy games, and role-playing games. The problem that all these games always face is how replayable are they after the first session? And if they are replayable how fresh is the experience on the second, third, fourth, fifth, ad infinitum session? And on top of that, if they do remain (semi-) fresh, where is the sweet spot that allows these experiences to continue and find a place in our gaming hearts. The sweet spot, as it were, is creating enough random occurrence or unpredictable situations to keep the experience fresh but allowing the players enough control over their own fate that the unpredictable experience doesn’t alienate them away from the game completely. An example of controlled randomness is perhaps from classic tabletop games such as Dungeons & Dragons or Warhammer. For those unfamiliar with either or both, the main thing to know about them is that the player has the option to determine a set amount of statistics within these games, either for their own avatars or their own units. These attributes offer the illusion of control to the player when they enter an unknown situation. To facilitate the unknown situation, randomness is introduced by adding dice. 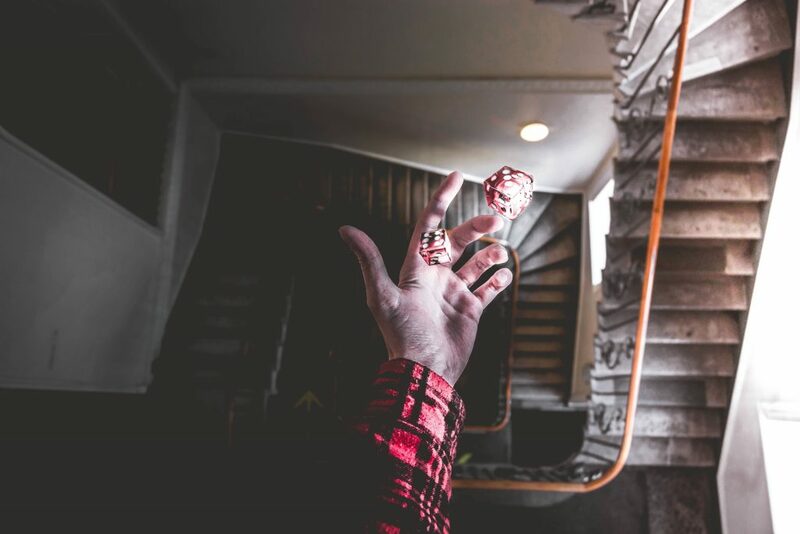 The rolling of the dice creates unpredictability and thus evokes surprise and curiosity which motivates the player in continuing or replaying the game. When I talk about randomness, I’m referring to the effect created by an unknown and/or unquantifiable outcome — in other words: the surprise effect. A state of euphoria or eustress in which the player finds joy from not fully knowing. This directly then relates to the idea of the illusion of control. By illusion, I do not directly mean that you should fool or lie to the player. The player should indeed have the voluntary freedom to make their own choices. Though the method does fall (dangerously) close to behaviorism, the use of the word illusion is simply a semantic relation to describe the situation of knowledge scarcity, where a player has imperfect but complete information.Simply said that the player has a basic understanding of what to expect in the experience and that they can control that knowledge comprehension. But that they, in fact, have limited information on the shape of the current experience that was originally based on their basic understanding of the information. The outcome of this complex ouroboric expression is thankfully very simple, the player has a simultaneous sense of excitement and anxiety within what they believe to be a recognizable framework, but one they have yet to understand or master fully. I’m sure that this concept is recognizable to you, as many successful games skirt this edge, and is the reason why they become so successful. The positive outcome of randomness and unpredictability is usually thought of as having good luck, and the negative, bad luck. Luck is a personal attribution of how a random event can be swayed one way or another. Which is why it is often found in the arena of gambling, and its randomness is also why gambling is so fun and addictive for many people. On the other side of the spectrum, supposedly, is the realm of strategy. The arena where a well thought out plan should minimize the possibility of randomness to state as close to absolute zero as physically possible. Strategy games such as Chess are probably popping into your mind this very moment. Fortunately, though, we’re not dealing with a spectrum, but with a two-sided coin, or a repeating cycle. Gambling games, like Poker, Black Jack, etc… and strategy games like Chess, Risk, StarCraft are fun because they have both elements, strategy, and unpredictability. They are fun because the experienced player can make use of the “educated guess”, a simpler way of saying the imperfect but complete information state. In all these games, there is both the element of randomness and the element of strategy, that for the purpose of this, will lower bad luck and increase good luck. For those keen of eye and mind will probably recognize this as the statement of Seneca — “Luck is what happens when preparation meets opportunity.” Controlling what little understanding we have, to lower the unfavorable effects of randomness in our current situational experience. What all of this boils down to for the player, is the very fine line between where being in a situation the decision to be made is simple enough to understand but not so recognizable that it becomes repetitive and predictable. In essence, when dealing with randomness and control the push to make a decision in an unknown, random situation must be familiar enough that the player can use their experience, but that the ability to control never strays in to an area where the decision is recognizable and obvious, as this removes not only the challenge but also the fun. As creators and designers, therefore, we have the incredibly difficult task of determining the right amount of information to give our players to give them a sense of control over their own fate, while withholding enough that they are surprised by the outcome of their decisions. As the most exciting thing for any player is to think we understand what we need to do, take the gamble, make the educated guess, execute what we believe to be the “correct” course of action and be surprised by the inevitable outcome of our plan. This is how we learn and this we are motivated to continue and try again. This is what makes it enjoyable.